Vindicia>Blog>Older Americans increasingly find news on social media. How should subscription services respond? Where did you first hear about the Harvey Weinstein allegations? What about the fires in Northern California? If you're like most Americans, you probably got word of these events on social media. According to an August survey from Pew Research Center, which analyzed the responses of over 4,900 respondents, 67 percent of Americans get some or all of their news from social media. If you've been paying attention to the industry, this information shouldn't be surprising. Twitter and Facebook have been gaining move on magazines, newspapers and cable television for some time. No doubt your company has struggled to monetize content while simultaneously spreading its reach via social media. What's most illuminating about this report isn't the overall figures but the demographics involved. While the number of people who find news on social platforms has only slightly increased since 2016 - it's up 5 percent, to be precise - this growth was primarily driven by older Americans, nonwhites and people with less than a bachelor's degree. Let's focus on that first category, as Pew's discovery is very interesting in light of recent moves made by media organizations. 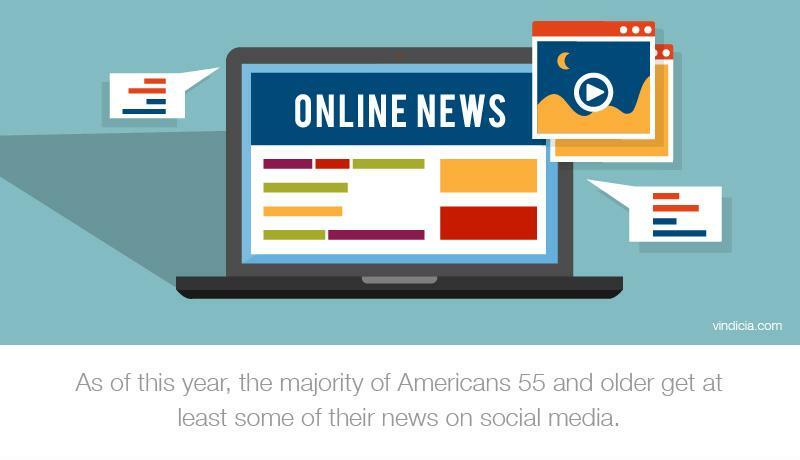 According to the data, the number of Americans 55 or older who got their news on social media jumped from 45 percent to 55 percent over the course of one year. If this trend continues, it directly counters the idea that social media is a young person's platform. While the increase in news consumption was slight overall, it was primarily driven by older users. Yet, as we discussed earlier, many online news organizations have started boosting their video content. Their strategy for doing so was to make their websites more attractive to Generation Z, whose preferred platform for content is YouTube. Videos and social media practically go hand-in-hand, especially with features like auto-play and captioning built directly into the platform. However, as more older Americans view social websites as valid news sources, they'll be disappointed to see the information on these platforms is primarily in video format. According to earlier Pew research, while most consumers prefer watching news to reading it, adults of all demographics overwhelmingly choose television over online video. So, if older Americans are coming around to social media but don't like watching online content, a video-first media strategy may turn them away. Additionally, our previous blog post noted that the pivot to video is also intended to make media outlets more attractive to advertisers. This is true regardless of the audience, and it's not unfathomable to see online magazines and newspapers that have historically targeted older adults switching to video as well. If these publishers don't care about their customers, then the strategy makes sense. However, it's not an effective method of sustaining revenue long-term. The whims of advertisers are constantly shifting, but consumer loyalty is forever. 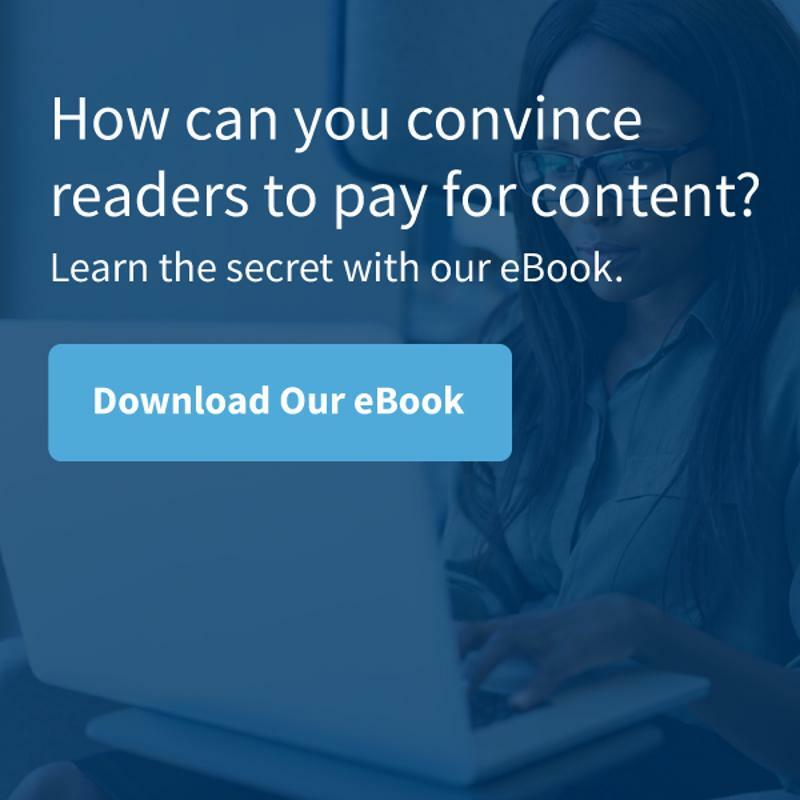 Instead of following the latest publisher trend, these organizations should reinvest in their customer base by focusing on customer retention rather than catering to advertisers.